The placement test is offered daily between 9:00 a.m. and 2:00 p.m. (unless otherwise stated.) Students who need to take the placement test must report to the Office of Admissions fifteen minutes prior to the test time. Anyone taking the placement test must bring a valid photo ID. 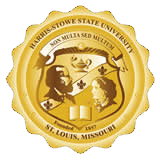 Placement test appointments may be made on the school website at www.hssu.edu or by calling 314-340-3300. Remote testing is available for out-of-town and out-of-state students at http://prod.examity.com/accuplacer/ hrough the Academic Resource Center. Some technology capabilities may be required. Please contact Ms. Deborah Wright-Carter, Harris-Stowe State University Test Coordinator at 314-340-3685 or e-mail WrightD@hssu.edu.